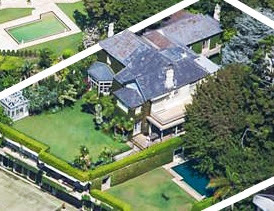 Sydney’s prestige property market has clocked up another trophy home sale of about $30 million for property developer Denis O’Neil’s Bellevue Hill estate. Market sources believe the buyer was fellow property developer billionaire Bob Ell, who is trading up from his Potts Point penthouse, which he sold to liquor industry heavyweight John Piven-Large for more than $15 million. At $30 million, this is the most expensive non-waterfront sale this year and sets a new record for the prestigious suburb. “A very choice position on the crown of the hill, with delightful views over the harbour. “containing on the ground floor: Wide lounge and entrance halls, drawing and dining and breakfast rooms, and Conservatory, with full-sized Billiard room with usual offices. 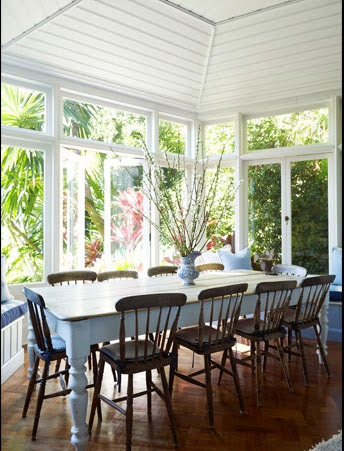 “This 1910 Federation House has been decorated using a soft palette of fresh colours. 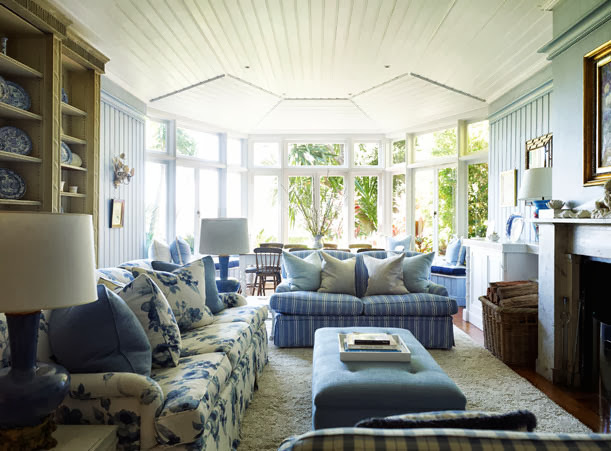 “The aim was to make the house feel light and airy. 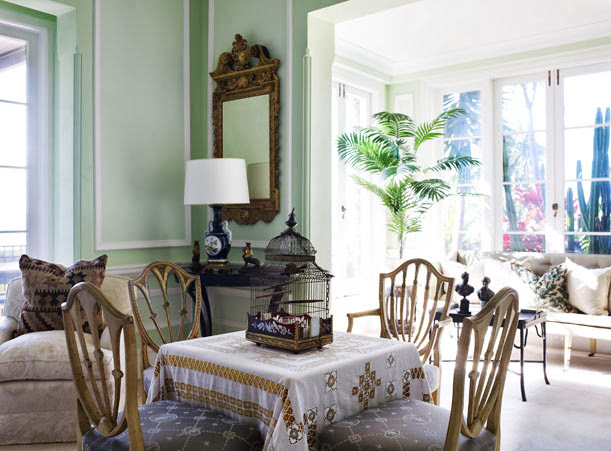 “We used wall paneling to accentuate the soft hues and give the rooms definition. 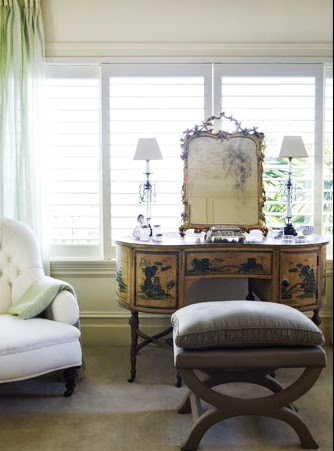 Each room has a different colour scheme with soft furnishings and antiques to compliment the design. Addenbrooke, the stately Bellevue Hill trophy home, hasn’t hung around for its formal spring trophy home marketing campaign. It’s attracted the attention of competitive interest. 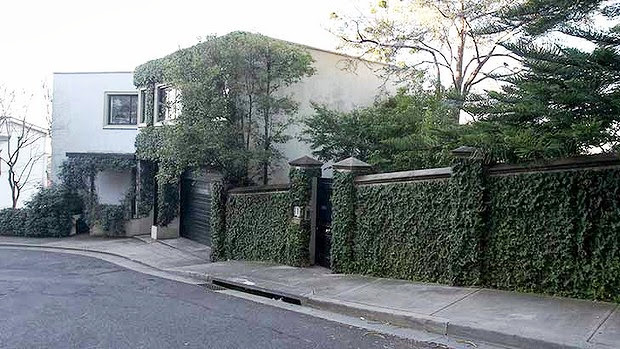 Overnight print speculation has it that the property developer Bob Ell may have secured the offering which was listed through Sydney Sotheby’s International Realty agent Michael Pallier. Property Observer previously suggested it came with $33 million hopes by the downsizing vendors, Denis and Charlotte O’Neil. Addenbrooke last traded at its 1988 auction for $5.375 million having been the home of the late Sir Lionel Coppleson, the former hire purchase Custom Credit co-founding chairman, for close to five decades. He and his surgeon brother, Sir Victor, who was an author of a 1933 book on Australian shark attacks, had grown up in Wee Waa on the Namoi River in northern NSW. Sir Lionel was knighted in 1969. An earlier auction was in 1930 when it was noted Addenbrooke adjoined the homes of Sir William Vicars and surgeon Sir Charles Clubbe. “Addenbrooke was listed on the quiet recently with hopes of $33 million through agent Michael Pallier, of Sotheby’s International Realty. Pallier won’t comment on the sale, but other sources tip the price at closer to $30 million. Property Observer gathers it’s set to come with $33 million hopes by the downsizing vendors, Denis and Charlotte O’Neil. 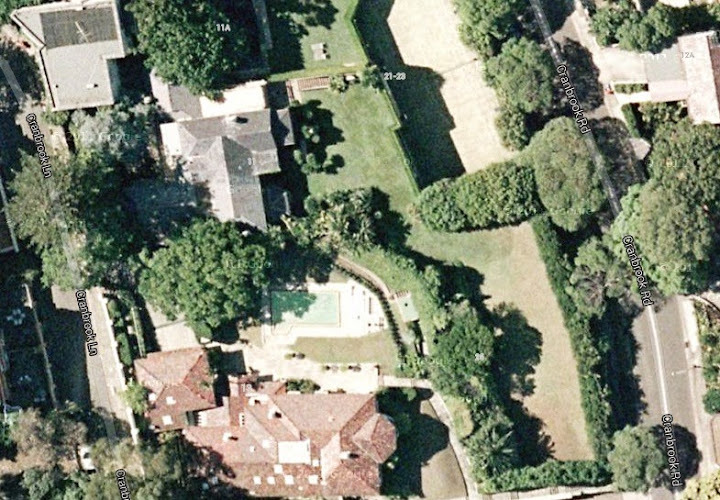 Addenbrooke vendors, O’Neil and his wife, Charlotte, bought the 2120 sq m property on Cranbrook Road in 1988 for $5,375,000 from former Custom Credit chairman Sir Lionel Coppleson. 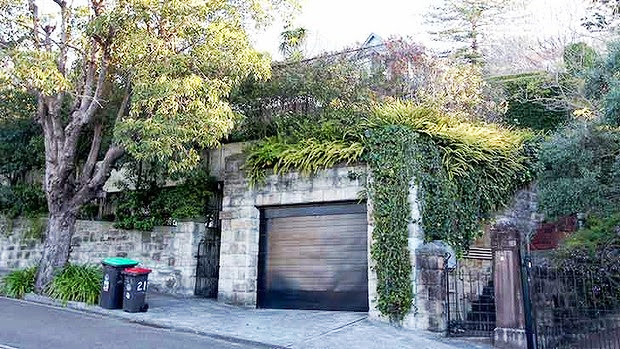 The couple then added the adjoining 850 sq m block in 1994 for $1.25 million, when they bought it from the Consulate General of the Republic of Korea. That block remains for sale through Pallier for about $5 million. Addenbrooke, where they live with their four young children, resembles a spread from The World of Interiors. 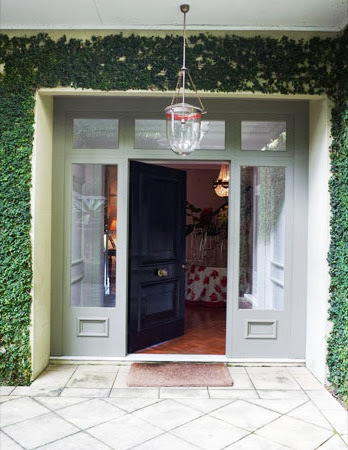 The numerous reception rooms have lit fires and are hand-painted by Charlotte, who in London “worked for a painter-restorer who worked for the National Trust”. 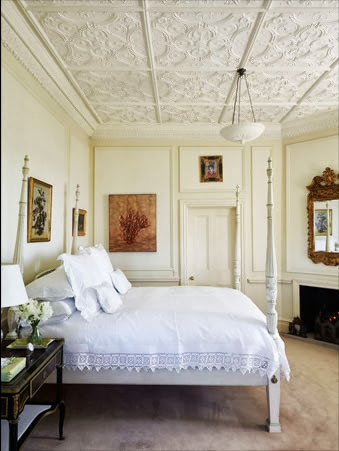 The detail in the house is incredible, from the handpainted walls throughout the living rooms to the dining room with its swag of turquoise silk wall hangings and mirror-top table which reflects a huge chandelier Charlotte brought from the family home in Scotland. Denis, aged 60 (in 1996), sits in his study overlooking Sydney Harbour to recount part of this history. Denis’s father was Les O’Neil, one of eight children including his brother Laurie O’Neil, toxic waste disposal king. Denis O’Neill made his fortune in blue metal. 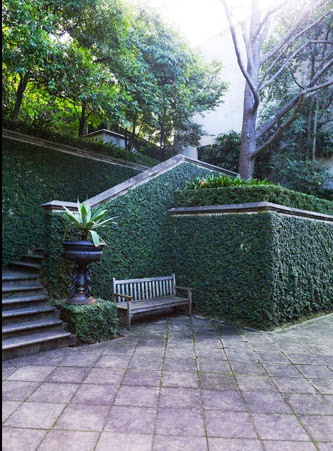 One of Sydney’s biggest property developers, his projects include the Goldborough Mort building and Observatory Tower. But his real passion is classic yachts, something he shares with his old friend Paul Keating. 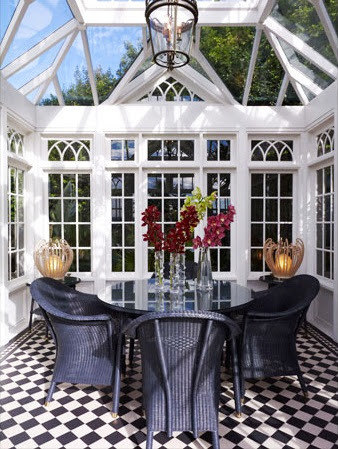 A glamorous recreated residence, ideal for both stylish corporate and relaxed family entertaining. This private contained estate fuses classical design with contemporary comforts and is sited on a large level, ultra secure North- North Easterly block of land. This magnificent estate has been custom appointed showcasing superior craftsmanship with carefully selected finishes. Next Chiritta, Peppermint Grove W.A.